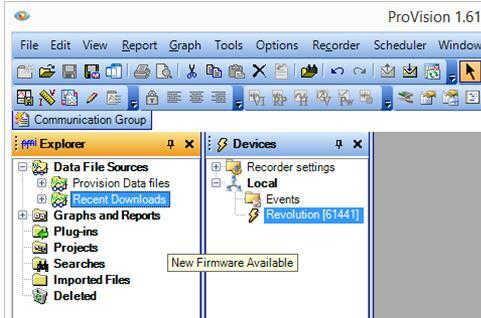 When a recorder is connected to Provision, the recorder’s firmware is checked against the firmware files stored on the PC. If the recorder’s firmware is out-of-date, the user will be asked to update the firmware after the next recorder download. A ‘New Firmware Available’ balloon will also be displayed. 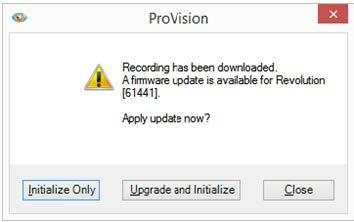 After downloading the recorder, the user will be asked to update the Firmware. The recorder will also need to be reinitialized.